At the mid-latitudes, where the Pacific Ocean meets the North American continent, is a place we call home. Oregon. Even before the reports of Meriwether Lewis and William Clark, stories were told of an emerald green land of swift, broad rivers; tall conifer trees; steep mountains; and abundant fish and wildlife. The allure of Oregon has always been her vast natural resources. 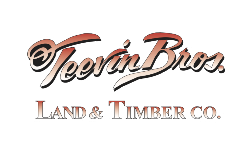 In the northwest corner of Oregon, Teevin Bros. has become part of the land and the culture. We live here, we work here, we play here. This is our home and we are incredibly proud of her. The natural resources we are blessed with, we manage with care. We want our children and grandchildren to know how special our home is; there is nothing like it in the world.